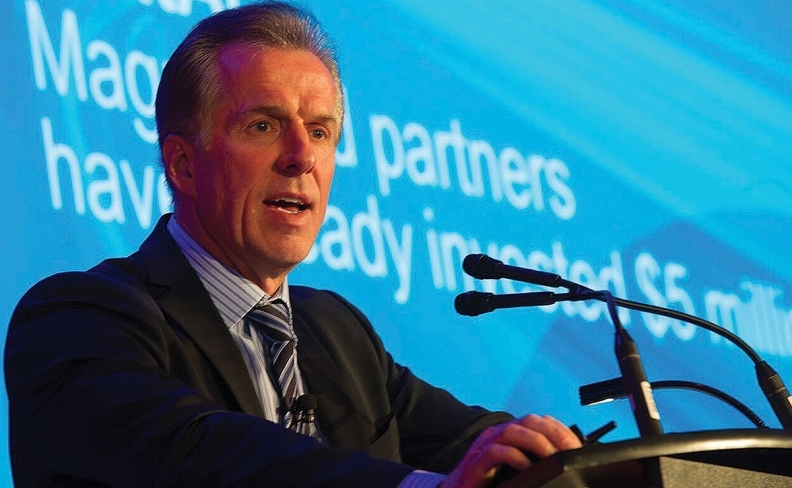 Magna International Inc. CEO Don Walker received strong applause from a packed room attending the Automotive News Canada Congress in Toronto on Thursday when he talked about the Ontario government’s involvement in hiking up the cost of doing business, specifically the implementation in Bill 148 – Ontario’s Employment Standards Act Reform. The bill has drawn the ire of business people for numerous reasons, mainly because the legislation that raised the minimum wage to $14 an hour from $11.60. It is scheduled to rise to $15 an hour as of Jan. 1, 2019. Electricity rates have also increased steadily over the years, hurting the bottom line. And, Walker says taxes are simply too high. “We have a hard time bringing high-income people here because of the tax rate. You look at what the U.S. has done on corporate taxes, and it’s balancing out,” he said. “I want to be vocal because quite frankly…I don’t really care about what people think of me or the company. Somebody’s going to speak up and say, ‘Look, if you’re running a brand and if you’re going to criticize the government, they can lambaste you and can hurt your product. Bill 148 and “bigger government” are stifling investment and productivity improvement, Walker said. “I love Canada, I’m committed to Canada, but if we don’t start getting people that understand that business needs to be competitive and stop putting the burden on business, they’re going to go. I’m worried,” he said. Nevertheless, Walker said he is optimistic about the industry as a whole. “Our view of the world is that between now and 2024, industry keeps on growing,” he said. “Some people will say the industry will peak or it’s going to come down. The good news is we are an industry that’s global and it’s growing. So anybody in this industry is (going to see) opportunities, but it’s also very competitive. “The things that could make that growth curve flatten out or go down would be if there is full autonomous vehicles…but I actually don’t think that reduces the number of vehicles particularly. Megacity legislation could have an impact. I don’t think it has a huge impact necessarily on volume, but it could have a huge impact on what goes into vehicles.